We've all heard it before, business gurus always say to go where your customers are. And guess what, Facebook now has more than 1.5 billion users (72% of online adults) and is the place where everyone now hangs out now. So, by now, I hope you've created a Facebook Page for your acupuncture practice. If not, I want you to stop reading and go do that now! 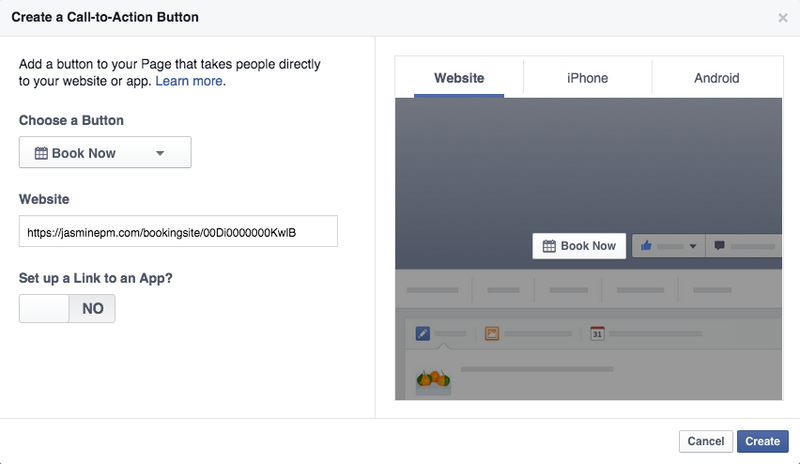 Great, now, that you have your Facebook Page, there's a little known button sitting in plain sight which you can use to book more patients. Look at the top of the page, next to the "Like" button and you'll see a "Create Call to Action" button. Go to your Facebook Page now and take a look! If you've never heard of a "Call to Action", in marketing, it's a request to get your customers to do something. And, in our case, what "something" is that? It's to book an acupuncture appointment! Now, let's get started and create our Call to Action button! 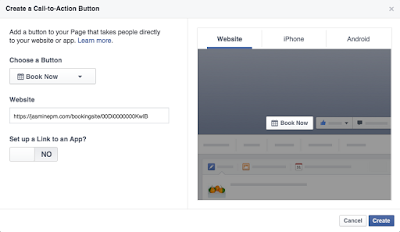 As an administrator of your Facebook Page, you will see the "Create Call to Action" button, next to the "Like" button. Click on it. A dialog box will popup and in the "Choose a Button" drop down, select "Book Now". Then, in the Website textbox, enter your web address and click the "Create" button. With a Call to Action, you increase the likelihood of patient bookings by reducing the number of steps it takes. For example, if your patients click on the Book Now button and lands on your website and then has to click on another book now button or pick up the phone, you're likely to lose the customer. Jasmine helps by providing a dedicated booking site for your acupuncture practice. And, by using this page for the "Call to Action" button, your patients go directly into booking their acupuncture appointment. Easy peasy!